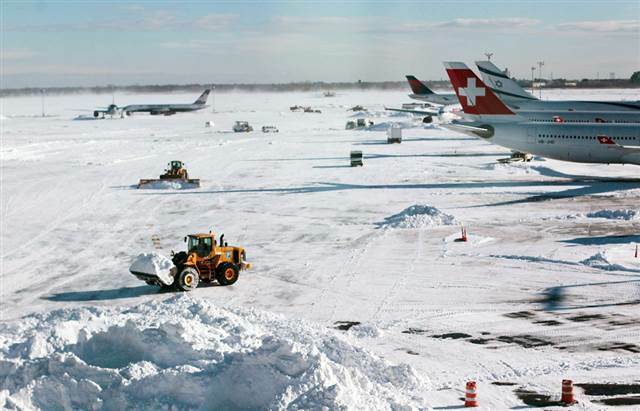 The snowstorm created days of cancellations and delays at the airport on Jan. 4 and several days after. A burst pipe at the primary terminal for international flights on Jan. 7 also caused major headaches for air travellers. Former Transportation Secretary Ray LaHood is conducting an investigation at the Port Authority’s request, focusing on coordination between international airlines and privately operated terminals. He suggested that it “utilize that leverage” to encourage them to “develop more meaningful communication systems and contingency plans” with Kennedy’s governmental and private operators.